HA NOI (VNS) — Viet Nam's vehicle manufacturers sold a combined 16,399 units in March, up 62 per cent from the same period last year, according to the Viet Nam Automobile Manufacturers Association (VAMA). Of the figure, 9,416 were cars, representing a 6 per cent month-on-month increase, while trucks accounted for 6,983 units, 104 per cent higher than the sales recorded in February. Thaco, a domestic car manufacturer, retained its market leadership with 5,973 sales, or a 101 per cent increase from last month and a 79 per cent increase from March 2014. 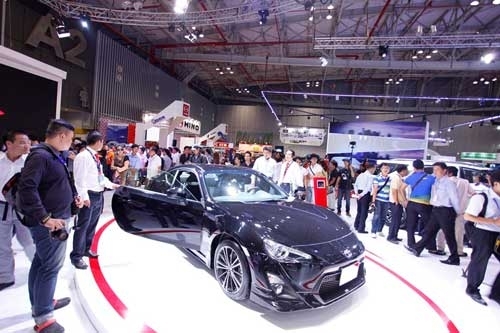 Japanese manufacturer Toyota came in second with 2,231 sales, followed by US manufacturer Ford, with 1,400 sales or a 51 per cent surge from February.